Last week saw the first trials at Stratford Magistrates Court for activists who arrested for protesting against Defence & Security Equipment International 2017 (DSEI) last September. 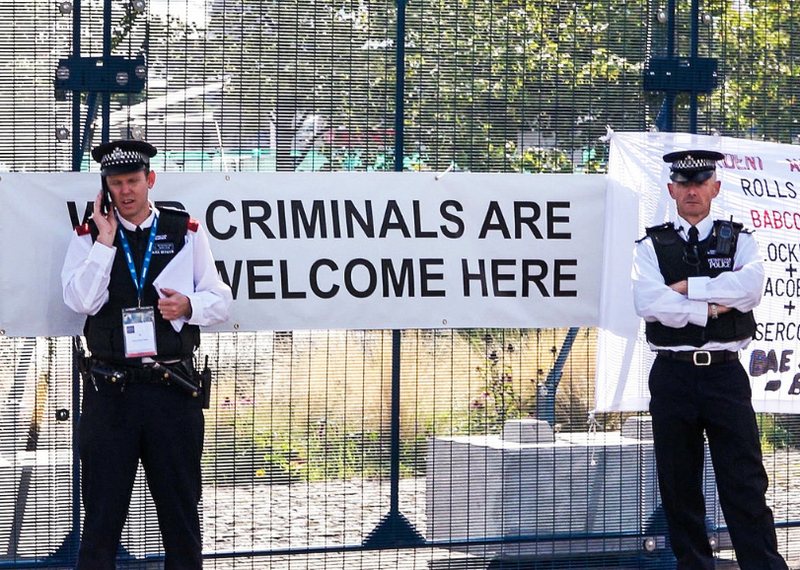 DSEI is one of the biggest arms fairs in the world, and brought all of the biggest arms companies and many of the world’s most repressive regimes to London for a week long festival of militarism and warfare. Most cases so far have resulted in guilty verdicts and fines, but there has been a deep well of support and solidarity for those that were prepared to put their bodies on the line and block the roads to stop military equipment getting in to the venue. Dozens more are to go in front of judges during the weeks and months ahead. 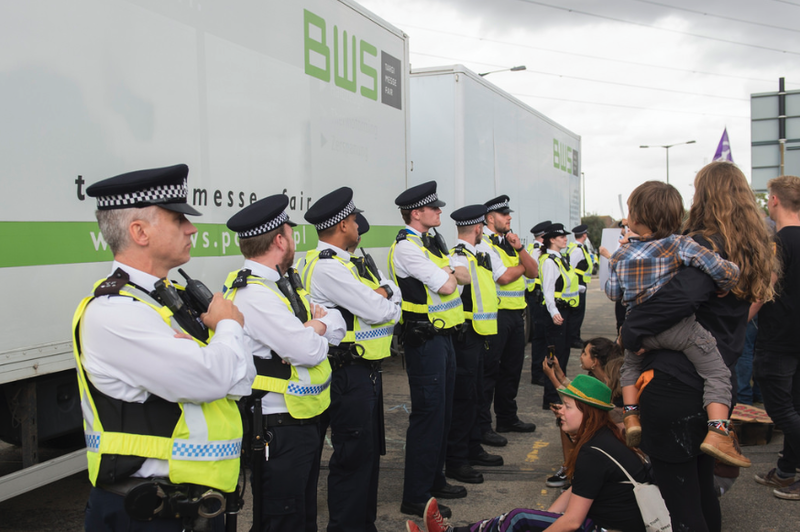 Over 100 people were arrested during the build-up to the arms fair, with major protests taking place every day to block the road and disrupt the setup of the event. They were protesting for good reason. The UK government is one of the biggest arms exporters in the world. 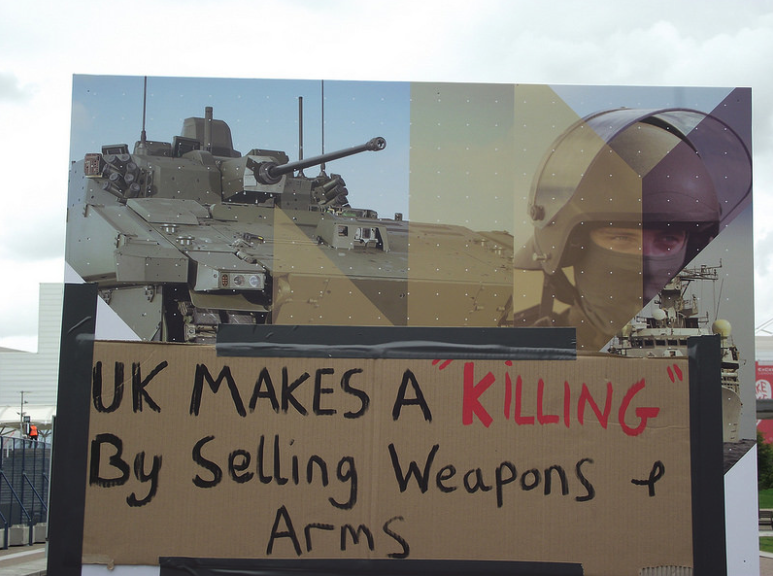 Here are six things you need to know about the UK arms trade. The UK arms and supports many of the most authoritarian regimes in the world. In the last few years alone, billions of pounds worth of UK arms have been sold to dictatorships and repressive regimes, with a clear majority of all arms sales going to governments with very poor human rights records. 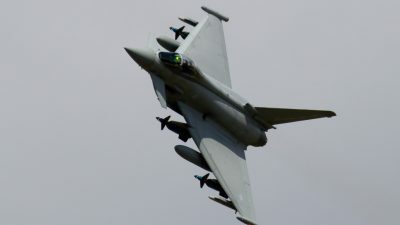 Every year the government publishes its own list of ‘core markets’ for arms exports: the current list includes Algeria, Bahrain, Kuwait, Oman, Qatar, Saudi Arabia, Thailand, Turkey and United Arab Emirates. 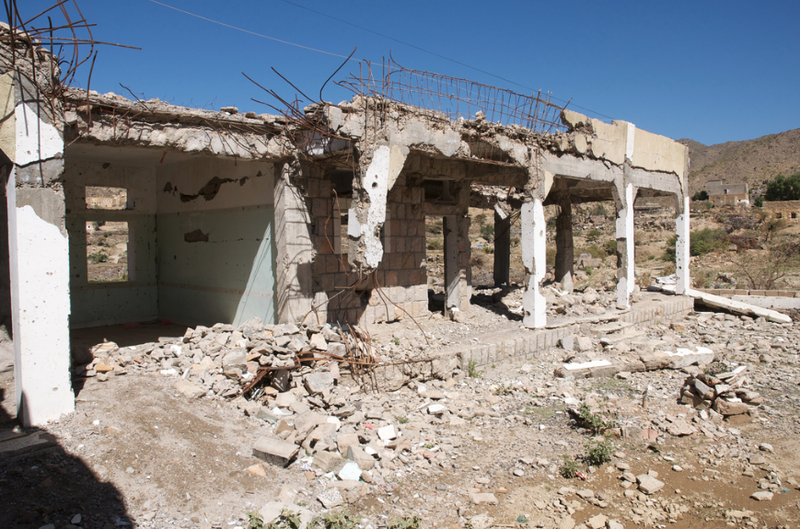 For nearly three years, Saudi forces have waged a terrible bombardment on Yemen. 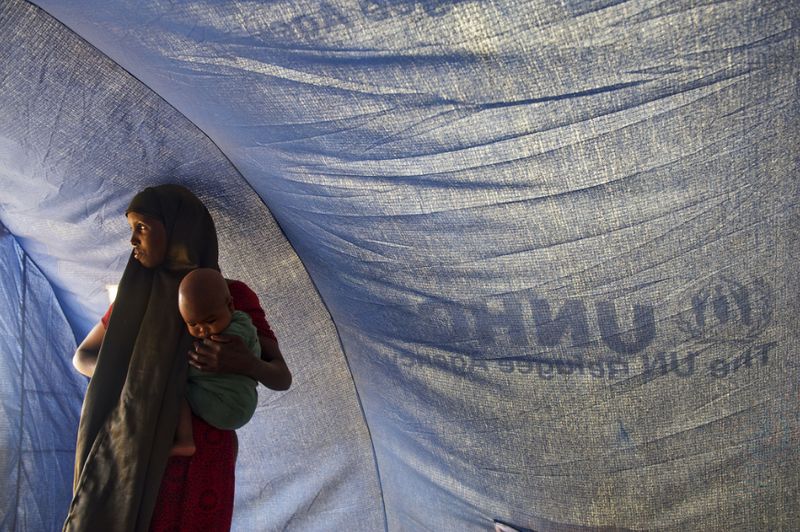 Over 10,000 people have been killed in the conflict, with many more dying as a result of the devastating humanitarian crisis that has taken root. UK arms have been used right from the start: Saudi forces have flown UK-made fighter jets and dropped UK-made bombs and missiles. Since the bombing began in 2015, the UK has licensed over £4.6 billion worth of arms to Saudi Arabia. Once weapons leave UK shores, the government has very little control over what happens to them. A recent report from Amnesty International found that ISIS has obtained arms from at least 25 different countries, including the UK. This isn’t because the UK has armed ISIS directly, it is because the lifespan of weapons is often longer than that of governments or the political situation they are sold into. Most weapons can easily be circulated or passed from one person to another. There is no such thing as arms control once weapons enter a war zone. The point may have been about Bahrain but it applies equally to any other country that is buying UK arms. 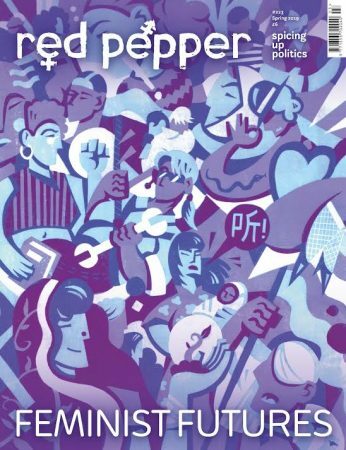 The message being sent to buyers is one of support, but the message being sent to those living under oppression is that their rights are less important than arms company profits. Arms companies aren’t just profiting from war and conflict – they’re also profiting from the refugee crisis that these wars have created. The ‘border security’ market is worth around £13.5bn per year. 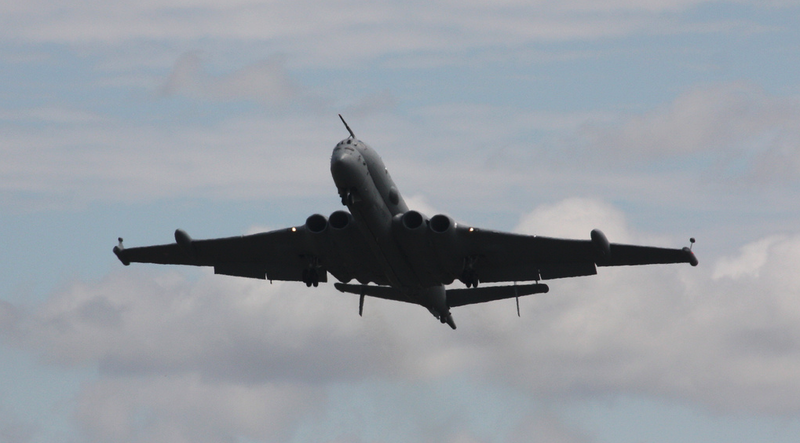 Many of the biggest profiteers, such as Airbus and Finmeccanica/Leonardo, have offices and operations here in the UK. 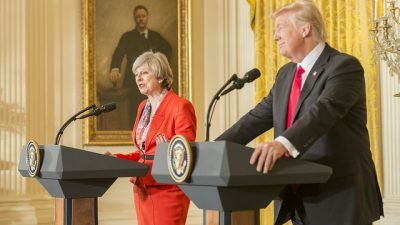 It may be the arms companies that are producing the weapons, but they couldn’t promote and sell them without the help of Theresa May and her colleagues. Events like DSEI simply couldn’t happen without the logistical and financial support provided by civil servants and government Ministers. There is even a government department, the Defence & Security Organisation, that employs 100 civil servants for the sole purpose of promoting arms sales. 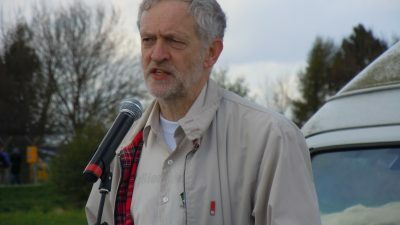 As Bob Keen, head of government relations at BAE, told the House of Commons Defence Committee “it simply is not possible to do a major defence deal without fundamental government support.”All of the polling shows that the overwhelming majority of people in the UK are opposed to the government arming and supporting human rights abusers. But the arms trade is not just a UK industry: it is a global one. Campaigners in the UK need to work with activists and communities around the world so that we can mobilise public opinion and stop these arms sales for good.